South Carolina natives refer to their coastal region as the “Low Country” and the other two regions of the state, the central Piedmont and the Blue Ridge Mountains to the west, as “Up Country.” The coastal region contains salt marshes, estuaries, and bays, many of which hold good populations of waterfowl. Much of the Piedmont region is forested, and the scenic Blue Ridge Mountains soar as high as 3,560 feet. South Carolina has a population of some 730,000 white-tailed deer. Although the state is not known for large-antlered deer, it tends to receive less hunting pressure than many other states in the South, and it has long seasons and generous bag limits. Parts of the state are open for archery and firearm hunting beginning in mid-August, which means it’s one of the few states where rifle hunters have a good chance of taking a buck in the velvet. Most hunting is done from stands, but South Carolina allows deer to be hunted with dogs in some areas. South Carolina was one of the original release points of feral hogs in the United States, when Spanish explorers released them in the coastal region in the 1500s. In the early 1900s, Eurasian wild boars were also released into the mountainous regions of the state. Wild hogs have spread and an estimated population of 150,000 can be found throughout most areas of South Carolina. Wild hogs are not protected in South Carolina and there is no closed season or bag limit on private land. As many as 35,000 pigs are taken by hunters in some years. South Carolina has huntable black bear populations in two regions, the mountains and upper piedmont, and in the coastal plain. Depending on the season, bears are hunted with and without dogs. Alligators may be hunted in South Carolina and tags are available through an annual drawing. With a generous bag limit of three gobblers per season, South Carolina is also an excellent destination for hunting Eastern wild turkeys. Hunters must wear blaze orange when hunting deer on public land in South Carolina. For more information on South Carolina hunting regulations, see http://www.dnr.sc.gov/hunting.html. We hunt in private ponds, South Carolina's four public alligator managment units, and both Wildlife Management Areas (WMA). Harvest methods include rod/reel, archery, and rifle. 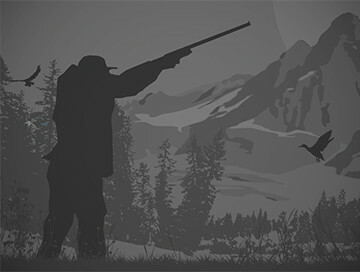 ALL equipment for your hunt is provided free of charge! Choose from four different size categories. From February 28 through July 1, we will be offering tactical night hunts for hogs. 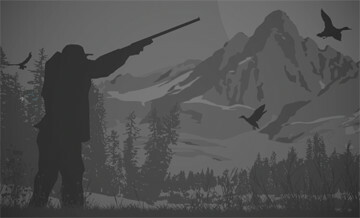 ALL equipment for your hunt is provided free of charge. Night hunts have a minimum 2 night booking and allow the hunter to harvest 1 hog per night. Our night hunters average 1 shot per night!